Custom signs can help attract new customers to your business and create brand awareness. Car and Vehicle magnets increase your exposure and have proven to be one of the most cost effective forms of advertising. 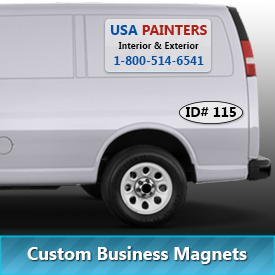 You could make thousands of impressions every time you drive your vehicle with magnetic signs attached. Below are a few tips to help you create a magnetic sign that will take your marketing dollars the extra mile! 2. Emphasize your motto. Add a tagline, marketing message, or phrase that tells your audience why they should hire you for the job. Make this statement short and memorable. 3. Be available. Always put current and accurate contact information on your sign. Make your contact information bold and visible, so that you don’t miss out on potential customers. 4. Include your website to increase mobile traffic. 6. Make sure the content of your car magnet is easy to read and in fonts that are pleasing to the eye. 7. Keep your car magnet clean. Click here to learn more about vehicle magnet maintenance. 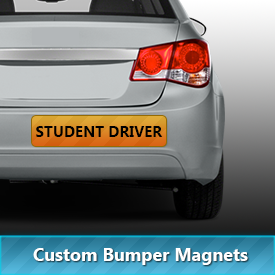 Start designing your vehicle magnet today! 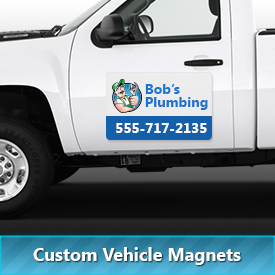 Design your vehicle magnet online! Choose from a magnetic sign style and customize your sign in as little as 5 minutes!